Bo-Peep Record Release Party in NYC. 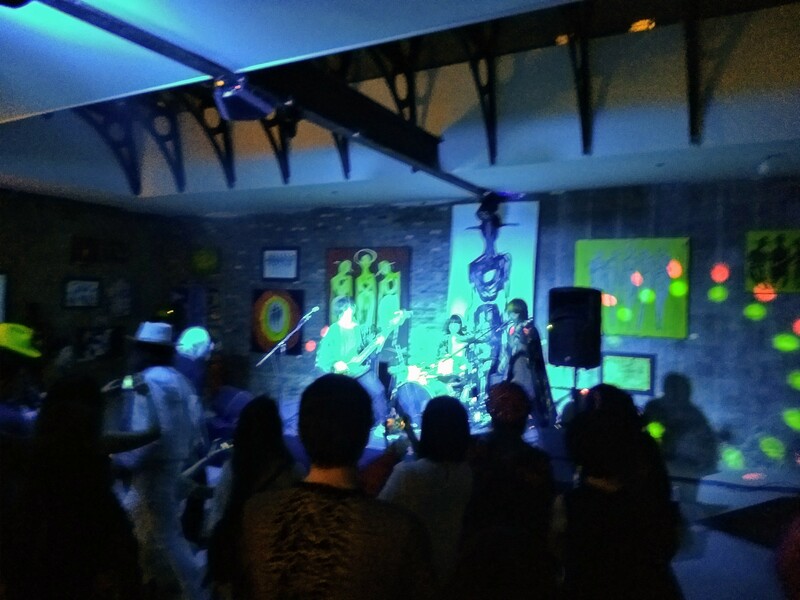 Our friend Walker invited us to a short show by Bo-Peep, who promised some nuevo punk sounds from Fukuoka Japan. And saki, wine and sandwiches. The band was invited to the states by two guys, one of whom Walker knows, who paid their way over and set them up with some shows in Brooklyn over the weekend (including at the Brooklyn Botanic Garden’s cherry blossom festival, the blossoms will be rocking). 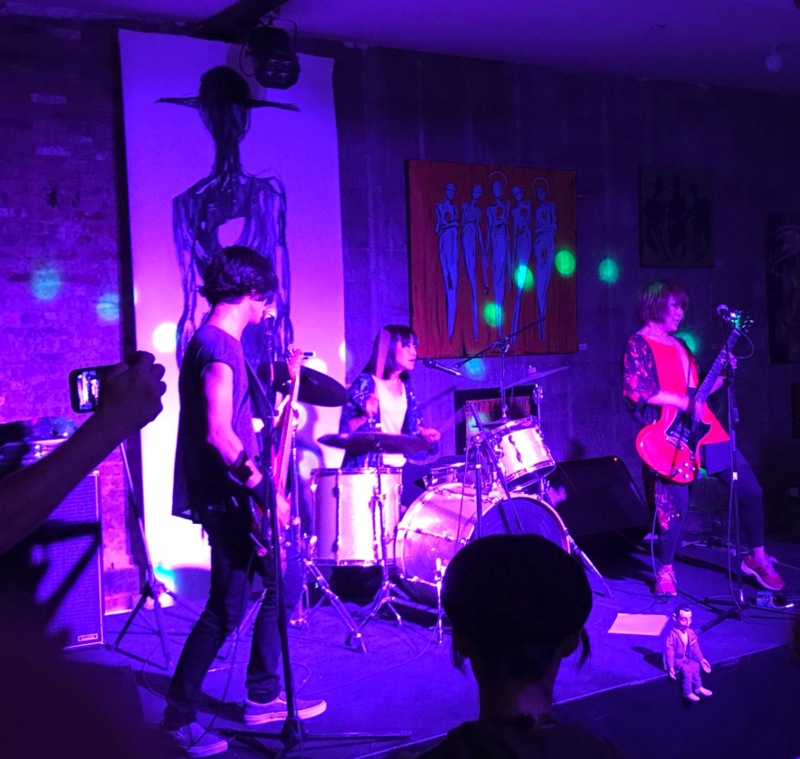 The place was an empty store on 8th Street in Greenwich Village, which is serving now as an art gallery, and the vibe was heterogenous, consisting mostly of young Asians, mostly women, and old American rockers. You can read what Bo-Peep has to say for themselves here, at their website. I thought the band was terrific. This is high energy rock, but every song has musical ideas in it that make it stand out from the others. One tune had the pulsing drive of Golden Earring’s Radar Love, others had the straight-ahead drive of the Ramones. Others get a little herky-jerky, like this one from their album Vibe, which reminds me of Karen Oh’s band, the Yeah Yeah Yeahs. Live the vocals were a little undermiked, but the group’s dynamics comes across in this music video. Here’s a cut of live footage with a studio version of another song. 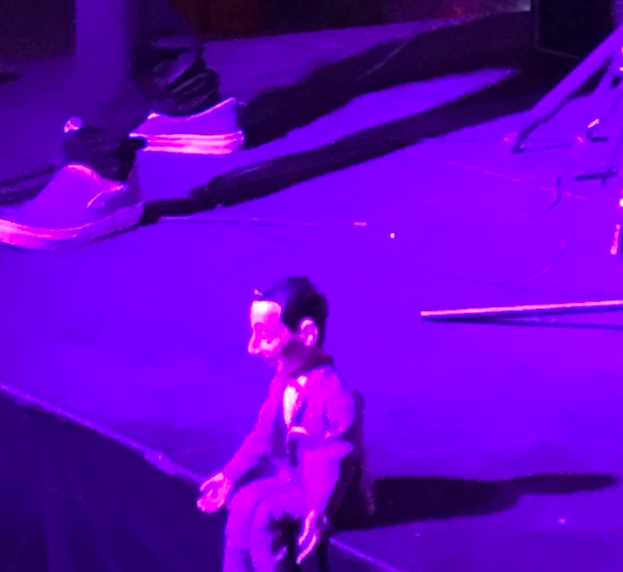 Final note: The band had a little Pee Wee Herman doll sitting on the front of the stage. Don’t know why, but it made me think of Moyer. This entry was posted in discovery, live, video. Bookmark the permalink. I like the song “Power” but it’s definitely helped along by the video — historically, sheep haven’t been cast as villains. But do the mean sheep and the “innocent” girls all die in the end? I hope all the Sheep die and the innocent girls live, but the video is unclear. Except maybe for sure the band members get fried. Or the sheep do. More metal than I expected. Nice twists in the song. Not a fan of the drum sound. I liked the drums live, but I hear you about the mix on Power.